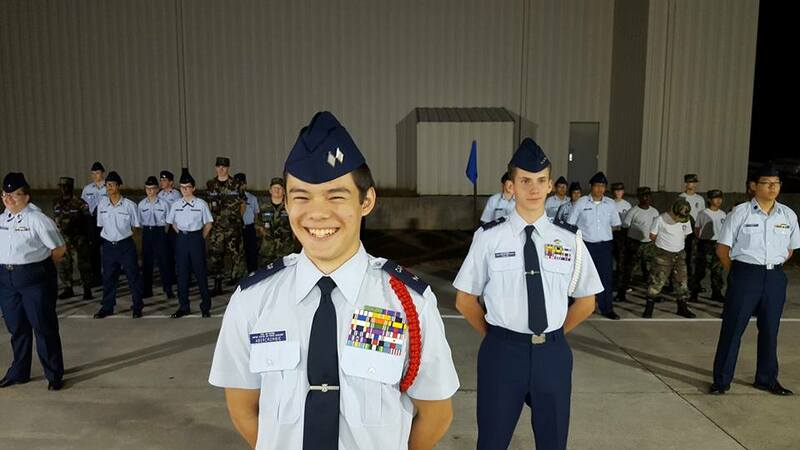 Civil Air Patrol’s cadet program transforms youth into dynamic Americans and aerospace leaders through a curriculum that focuses on leadership, aerospace, fitness and character. As cadets participate in these four elements, they advance through a series of achievements, earning honors and increased responsibilities along the way. Many of the nation’s astronauts, pilots, engineers and scientists first explored their careers through CAP. — Attracts over 25,000 members ages 12 through 20 for participation in its cadet programs. — Educates youth in four main program areas: leadership, aerospace, fitness and character development. — Enriches school curricula through after-school programs. — Offers orientation flights in powered and glider aircraft, as well as flight training scholarships. — Provides activities and competitions for cadets at the local, state, regional and national levels. — Makes opportunities for community involvement available through color guard/drill team and emergency service missions. — Challenges youth to be ambassadors for a drug-free lifestyle. — Nurtures the skills of CAP cadets who make up about 10 percent of each of the U.S. Air Force Academy’s classes. — Cadets who have earned the Gen. Billy Mitchell Award enlist in the Air Force, U.S. Army and U.S. Coast Guard at a higher pay grade. — Participates in the International Air Cadet Exchange program. — Awards college scholarships in several disciplines. For more information, please contact Cadet Programs.